Everyone in Cartagena dances salsa. You’ll hear salsa music in every corner tienda. It’s the spirit and soul of the city. If you want to know where to dance salsa in Cartagena, look no further. Here are our recommendations for the centre of the city and in the suburbs. 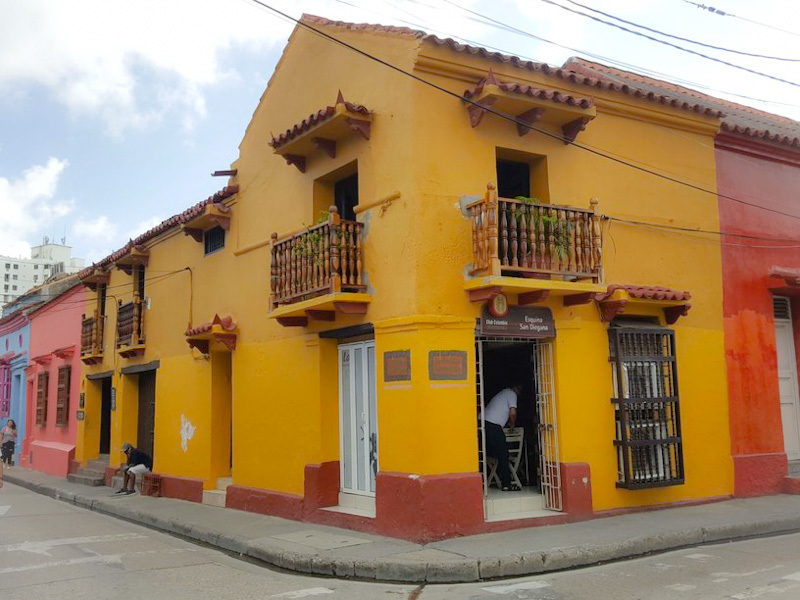 Quiebra-Canto was the first salsa club to open in Cartagena’s centre in 1993 and it’s where you’ll see some of the best salsa dancers in Cartagena. 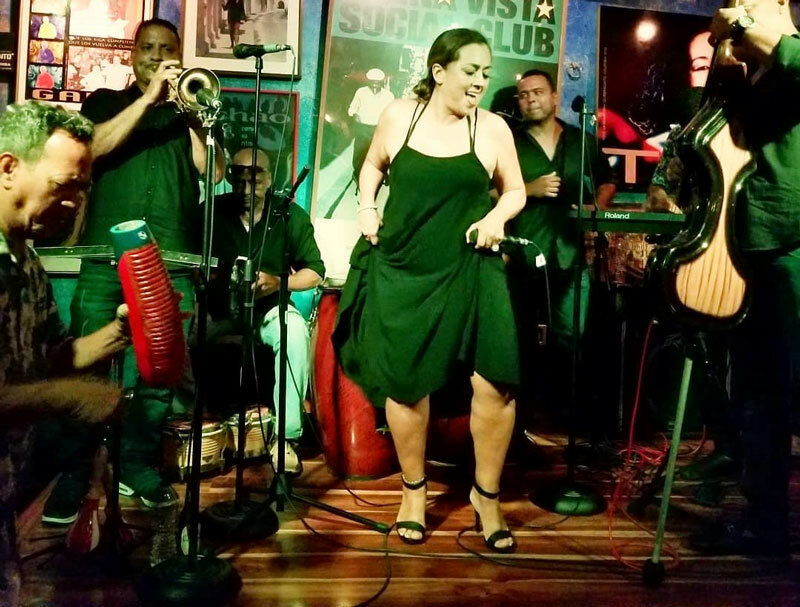 Here, with their incredible collection of over 6,000 CDs and 3,000 LPs plus a live band twice a week, you will hear and dance to old school salsa in a traditional salsa club with locals who’ve been dancing here over 20 years. And, there’s a great view of the old town from the balcony. Gabriel Garcia Marquez celebrated his 80th birthday here and if you chat with Lacides, the club’s owner, he can arrange a unique class about the origins of salsa. Get there between 10pm and 11pm and dance on the beautiful dancefloor until 3am. Every Thursday, Friday and Saturday, there’s a live band and on quieter days, you may see the club’s cat! Donde Fidel (or “yellow chairs”) is the ultimate salsa place in Cartagena if you’re looking for somewhere busy but with a relaxed atmosphere. 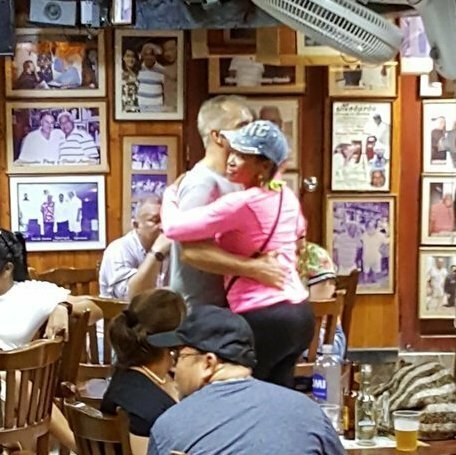 Every great salsa singer has been there over the years and you’ll see framed photos on the walls of Fidel, the owner, with each and every one of them. You’ll hear the place before you see it. Step inside and you’ll be dancing cheek to cheek with the locals, before you can even get to the bar! With two rooms, there’s plenty of space to dance, but it’s popular and here people dance close. Step outside and take a seat on the yellow chairs for excellent people watching, but go early – this place closes by midnight. Cafe Havana is a very famous salsa club in the city and it’s also the most expensive, but don’t let that put you off. It’s a great place to hear live big-band salsa music and the most popular salsa tunes every Thursday, Friday and Saturday. You’ll find smart locals and a lot of tourists in a small space, so although you can’t always break out the turns, the live music is always fantastic. Nestled on the crossroads of some gorgeous streets in San Diego is La Esquina San Diegana, which has been open for 20 years. Here, you’ll get a really local, Cartagenero salsa experience, with very few tourists. The DJ plays traditional salsa from a huge collection of albums, and with no cover, it’s great value for a dance every day of the week. Crazy Salsa sees a younger crowd dancing into the early hours, especially at the weekend. Try the Crazy Jam salsa session on a Thursday from 9pm and dance away with a friendly crowd and a live band until 3am. It’s free to enter if you get there before 11pm. They also run dance classes in the daytime. Of course, it’s not just in the centre of the city that you’ll find people dancing salsa. There are some great salsa spots in the suburbs too and you’ll find a more local experience than in el centro. Take a taxi there and back and to enjoy a real salsa party, we highly recommend these places. Vuelta Bajero, Tv. 54 #30-266 Vuelta Bajero also has a bar in the centre of the city. And last but not least, we also love this place in El Bosque. If you’re planning your trip to Colombia, here’s some reasons why Cartagena is a great place to dance salsa. And don’t forget! We can always help you with some classes before you strut your stuff in Cartagena. Simply get in touch on Messenger and we’ll tailor make a class or program for you.